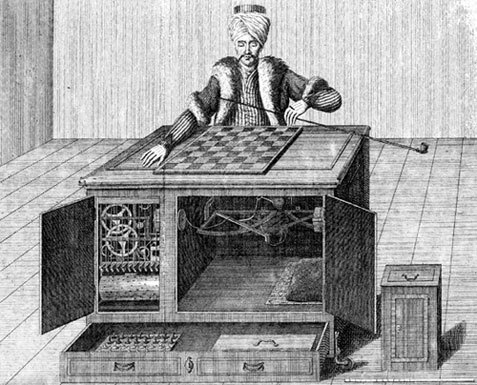 What is behind the person, who created two hotly debated technical sensations from late XVIII century—the mechanical chess player called the Turk and the Speaking Machine? Johann Wolfgang Ritter von Kempelen was born on 23 January 1734 (baptised in St. Martin's Cathedral under the name Wolfgangus Franciscus de Paola Joannes Elemosinarius) in Preßburg, Habsburg Empire (now Bratislava, Slovakia). He was the son of a noble court counsellor and controller of the tax office since 1715 Engelbert Kempelen (1680–1761) (of Irish descent), and his wife Anna Terézia Spindler, the daughter of the former mayor of Preßburg. 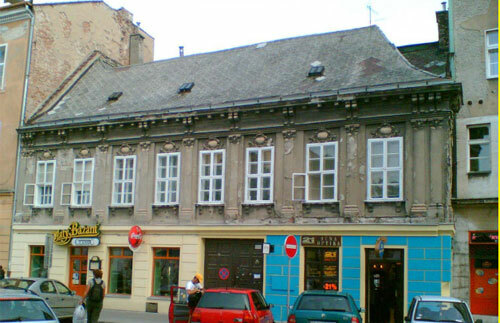 The native house of Kempelen is still preserved in Bratislava (see the photo below). Wolfgang was the youngest of three brothers. 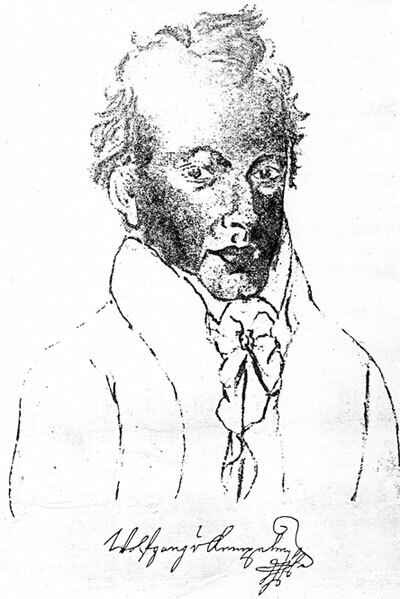 The first brother, Andreas Johann Christoph von Kempelen, studied philosophy and law, was secretary of the ambassador in Constantinople and fought in the war of Silesia. He died in 1753 from a lung disease, just after he was appointed as the private teacher of the Austrian heir prince Joseph. Wolfgang's second brother, Johann Nepomuk Freiherr von Kempelen Barón de Pázmánd (28.11.1725-31.03.1801 ), also served in the army and was promoted to the rank of Major General. Wolfgang Kempelen attended primary school in Preßburg, and in 1850 went to Győr for his secondary education. After finishing secondary school, the choice was not easy, as many things interested him—he wanted to study physics, mathematics, natural sciences, architecture, literature, or even music. Some sources mention he studied philosophy and law in Vienna University but the lists of enrolment show no entry for Kempelen. It is known, that Kempelen was a remarkable polyglot. He was fluent in 8 languages in addition to his native German—Latin, Hungarian, French, Italian, Slovak, English, Irish (Gaeilge) and Romanian. After a long travel throughout Italy, visiting Rome and Naples, among other places, in 1855 Kempelen took part in the compilation commission to translate the Codex Theresianus (the Empress Maria Theresia's civil law book) from Latin to German. Everybody was satisfied with his prompt and punctual work, and soon Kempelen became the Hungarian court's advisor, and later in 1857 the secretary. In 1766 Kempelen was appointed as the director of the Hungarian salt mines. In 1768 he became settlement commissioner for the Banat region, where the Vienna court carried on an intensive settlement policy to repopulate the provinces at its south east border, to a large extent with Germans. He was responsible for the settlement of 37000 families, organizing of communities, and designing houses for the settlers. He also managed to introduce a new crop, flax (to produce linen), and built a silk factory. Around Timisoara, the main city of Banat, Kempelen directed draining the swamps, rebuilding the roads and schools. Thus Banat was completely reborn. Kempelen's numerous visits are reflected in three substantial reports to the Vienna court in 1768, 1769 and 1770 in which he gave account to the repopulating commission, presented a plan for a systematic organization of the Banat and described the local mines and institutions. Maria Theresia was greatly satisfied and, in 1771, granted 1000 Gulden for his services and an annuity of the same sum. In the autumn of 1769, Wolfgang von Kempelen was invited by the Empress to attend magnetic experiments shown in Vienna by the French illusionist François Pelletier. He went and saw the Empress impressed by the demonstration, but he was not impressed and said he could invent a machine far more surprising within half a year and commenced work on the chess playing android, an automaton for the enjoyment of the court (see the upper drawing). In 1770 his masterpiece was first demonstrated to the Empress in Vienna. In a very short time, this machine became world famous, and the whole of Europe wanted to see it. No automaton of the XVIII century was so frequently described. Many people strove to figure out the machine's secret, and already in 1785 someone guessed there was a man hidden in the cabinet, who moved the figures, and this was the holy truth. In 1770 Kempelen continued with his engineering work, designing a pontoon bridge over the river Danube in Preßburg (see the lower image). In 1772, when the castle of Preßburg was rebuilt, Kempelen was asked to construct a separate water supply for the castle. Taking advantage of a well on the bank of the river Danube, water was transported by copper pipes in a special tunnel by pressure pumps driven by horses, the altitude was about 70 m and the capacity was one bucket per 1.5 minutes. In the same 1772, Maria Theresia decided, with the help of French gardeners, to turn the Schönbrunn wild park into a beautiful garden. Kempelen received his new assignment: he had to provide for the water supply of the garden's jewel, its fountain and the water cascades. In October 1772, the fountain with its self regulating water pump was inaugurated. Later in 1780 Kempelen designed two steam hydraulic machines for the same purpose. In 1774, Kempelen helped the Preßburg people once more: he established the first pawn shop of the country, which was a popular alternative to the local usurers. In the same 1774, Maria Theresia caught small pox, but she still insisted on taking care of her governing tasks; so, she asked Kempelen to design a mobile bed, easy to move from one room to another, in which she could lie, sit, write and read comfortably. In 1776, Kempelen convinced the court, that the University in Nagyszombat had out-grown the city, and had become obsolete. He succeeded and obtained financial help to organise and direct the moving of the University to the Buda castle, and gave special attention to the library. In late 1770s, Kempelen built two steam engines. The first one was constructed near to Stubentor in Vienna. Later, this machine was used for building the Franz canal in Hungary. His machine was better than James Watts's, but he lacked the money to develop it further. In 1778, Maria Theresia's god-child, Marie-Therèse Paradis, was introduced to Kempelen. The 19 year old pianist, singer and composer was very intelligent, but because she was blind, she could neither read nor write. The Empress asked Kempelen to help Paradis. First, Kempelen taught her the basic units of reading and writing, using three-dimensional shapes. This young girl was the first ever to study the alphabet with three-dimensional type. In 1779, Kempelen built for her a special press with movable type and a letter case. Still in that year, at Kempelen's request, the court allowed the publishing of the first Hungarian newspapers. After Preßburg, Kempelen planned two water pumps for Buda. Later, he drew the first version of the steam turbine, and in 1788 or 1789 received a patent from Emperor Joseph II for 12 years for his invention to drive all kinds of mills, and machines. The model can be seen in the National Engineering Museum's collection. Following his work in Buda, Kempelen received another architectural commission—planning the Sava-Adria Canal (a channel that is to connect the Danube with the Adriatic Sea), which was never realized. Later Kempelen took part in the reconstruction of the Buda Castle. On 25 October 1790, the Buda Castle Theatre (see the upper image) was finished according to his plans. 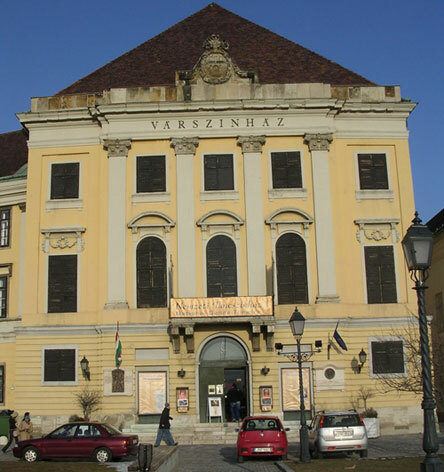 For the first time in history, Hungarian could be heard on stage in a Hungarian theatre. Kempelen commenced preliminary work on his mechanical speech machine in 1769. Possibly to counteract some doubts about the credibility of his ingenious apparatus, he published a detailed description in 1791, in his chef-d'oeuvre The Mechanism of Human Speech. 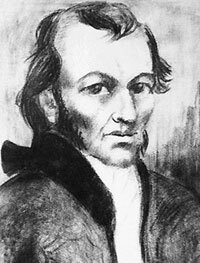 The Englishman Wheatstone, the German Posch, and the Austrian mathematician Joseph Faber were amongst the first to utilize Kempelen's invention. 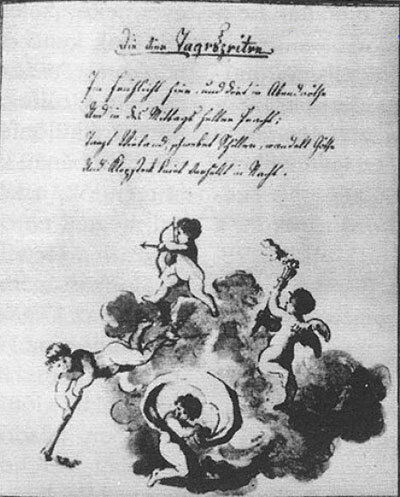 Kempelen's little poem "Die vier Jahreszeiten", decorated by himself. Outside of scientific life, he also dealt with arts. He wrote poems (see the upper manuscript), epigrams, dramas, and musical plays for which he composed the scores. Moreover, he illustrated his poems. In 1767, his comedy Das Zauberbuch (the Magic Book), Kempelen's presentation of white and black magic was staged in Preßburg, and his melodrama Perseus and Andromeda was publicly performed in Nationaltheater, Vienna in 1781. In addition, he was also a talented amateur etcher and engraver. From 1789, he was an honorary member of the Vienna Academy of Arts. In 1798, after 43 years of service, Kempelen was retired with an annuity of 5000 Gulden and the title of a Knight of the Holy Roman Empire. Kempelen's private life however was not a happy one, although he had a very good home life, his work often took top priority and he was badly stricken as fate has decreed it. On 6 September 1757, in Vienna, Wolfgang Kempelen married to Francziska Piani, lady-in-waiting of Archduchess Maria Carolina Ludovika. Unfortunately, Francziska died two months later, of smallpox, and it's said that Wolfgang disappeared into his workshop for months out of grief, distracting himself by learning woodworking, clockmaking, and dozens of other skills. In 1762 Wolfgang Kempelen married to Anna Maria Gobelius, companion of the wife of count János Erdődy. Of the five children born in family between 1763-1771, only Mária Teréz (born 1768) and Karl (Károly) (b. 1771) reached adult age, as only Karl survived his father. The first 3 children—Julianna (born 1763), Marie-Anna (b. 1764), and Andreas Christian (b. 1766) died shortly after birth. Just before Kempelen's death on the 26 March 1804, probably because of his reformist thoughts, Emperor Franz II cancelled the annuity. This remarkable inventor, after a fruitful life abounding in experiences, died highly esteemed in his 70th year in Alservorstadt near Vienna.